Oklahoma already taxes oil and gas and wind power and now legislators want to tax sand and gravel. The Journal Record reports the effort by Rep. Justin Humphrey, a Republican from Lane in Atoka County won considerable support in the House and is now being considered by the State Senate. Here’s how the Record reported it. 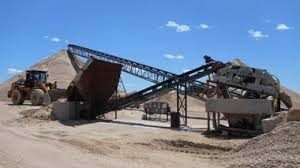 House Bill 1404 would create a gross production tax on aggregate materials like sand, gravel and granite mined in Oklahoma. The bill’s House author, state Rep. Justin Humphrey, a Republican from Lane in Atoka County, compared what’s proposed to production taxes that have been collected for years from oil and gas companies that take natural, non-renewable resources out of the ground. Every year, he said, tons of aggregates are mined all across Oklahoma, and companies aren’t currently required to pay any production tax at all. 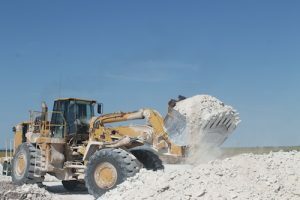 HB 1404 would allow for counties to establish a tax of up to 10 cents per ton on materials like sand and gravel, which, according to the Oklahoma Geological Survey, are key ingredients in everything from building materials to cleansers to cosmetics. The OGS reports that it takes an average of 152,000 tons of aggregate to pave a mile of four-lane highway. It takes 400 tons to build an average home. Humphrey said that in areas where a lot of aggregates are mined, like in his southeastern corner of the state, heavy trucks and other equipment take a high toll on roads. A production tax would go a long way toward offsetting that wear and tear, he said. Some of the money paid in by companies might even be turned around and paid back to them, he said, because counties and municipalities would have more money to spend on roads and bridges. The bill passed recently in the House by a vote of 68-25 and is due to be considered by a Senate committee. Humphrey said similar measures have stalled in the Senate before. State Sen. David Bullard, R-Durant, is the bill’s chief author in the Senate. He said that if HB 1404 passes, the maximum production tax that would be allowed in counties would still be lower than taxes in most other states, including those bordering Oklahoma. Bullard agreed with Humphrey that there’s a great need for road and bridge maintenance money, especially in rural Oklahoma. “When you talk to county commissioners, the biggest excitement is that (HB 1404) would help them to maintain roads,” he said. The Journal Record reached out to companies like Dolese Bros. and Martin Marietta that mine aggregate materials in Oklahoma, but company representatives were unavailable for comment on Friday. Mike Thompson, a former president of the Association of County Commissioners of Oklahoma and the current chair of the Johnston County Commission, has appealed to oil and gas companies in Oklahoma to support the gross production tax on aggregates. According to language in the bill, no tax would be levied on aggregates taken by individual property owners and not sold for profit. Likewise, no tax would be levied on limestone extracted for agricultural purposes.